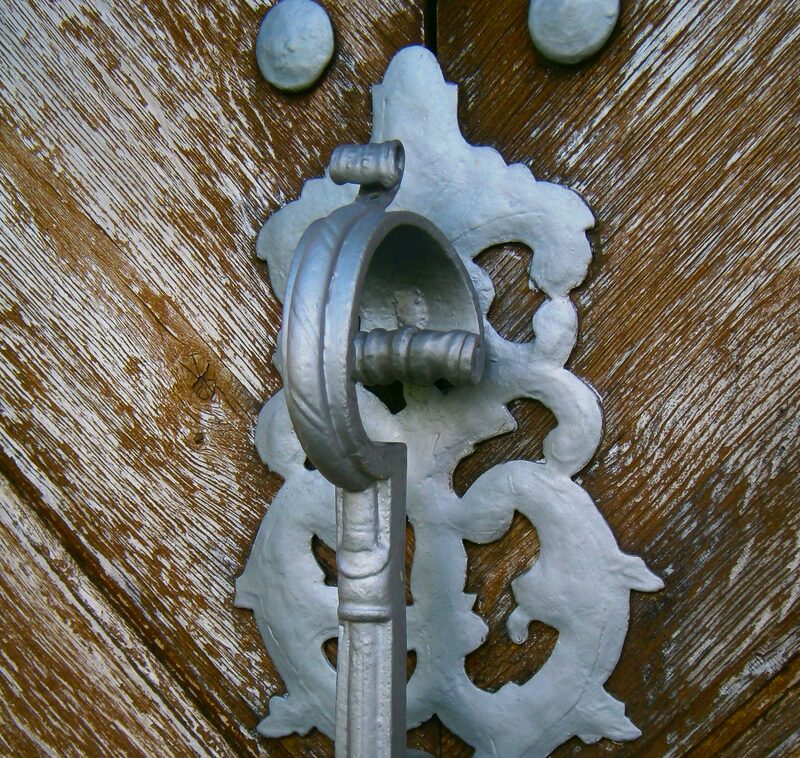 Hardware, while a utilitarian necessity, provides an unparalleled opportunity to distinguish the character of the home. Whether outfitting a new home or remodeling an old one, the attention to detail and continuity available in high-end hardware choices provide the important finishing touch. As an essential element of the home, hardware may be the simplest way to enhance the feel of your living space. These features are more frequently touched than any other accessory or installation in the home; as such, selection of these pieces necessitates expert attention. 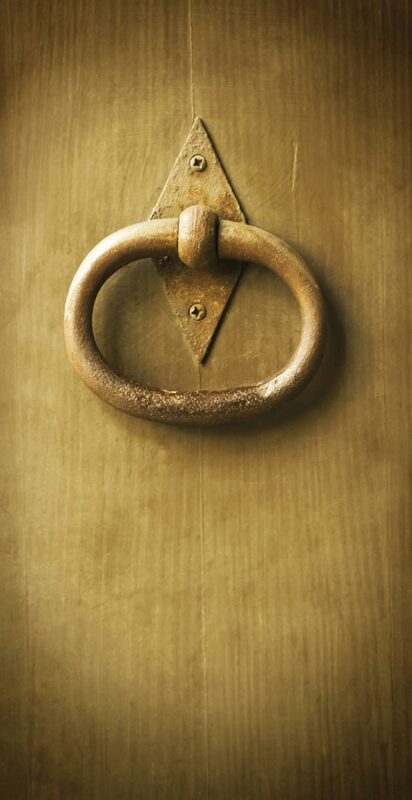 Whether seeking a soft satin brass for a contemporary home or grounding a roots-and-rocks home with iron, from custom engineered novelties to time-trusted classics, the Mountain West is a treasure trove of luxury hardware resources. In an industry where expertise is paramount, this region is lucky to have suppliers and manufacturers who have made this their mission for generations. Meet Kristina Lawrence, a Park City-based interior designer. She has been working for over 15 years in the residential construction industry and has the connections and creative experience that can truly distinguish a mountain home. As Lawrence says, “Hardware is often called the jewelry of the home, and it is! It’s the sparkle and bling that you see and feel. 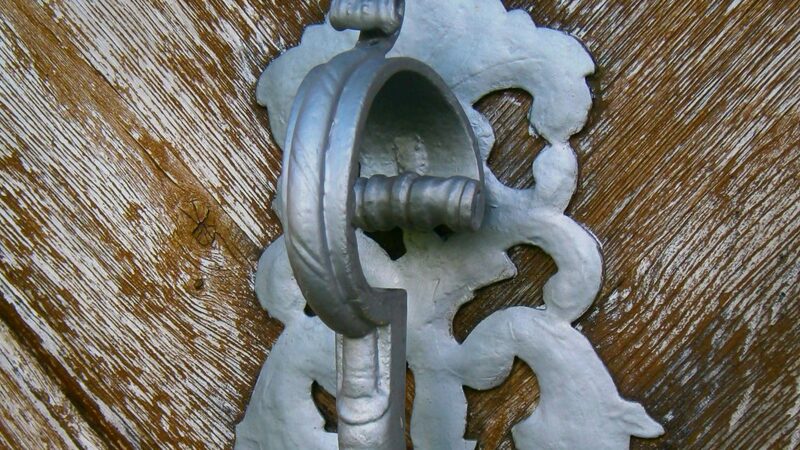 But sadly it is often left as one of the last details to be dealt with.” She believes this is unfortunate because, as the ultimate decoration, the right hardware can bring an entire home together. Her years of experience have provided Lawrence with an encyclopedic array of hardware resources. “The beauty of being in design for this long is that I have gotten to work with and really know an amazing set of suppliers. I know which suppliers are good at custom, who stocks the best supplies of off-the-shelf products, who has great connections with modern or artisanal manufacturers, etc., and they are my go-tos,” she explains. As an interior designer working on many aspects of the interior of a home, being able to work with suppliers who have their fingers on the pulse of design trends adds incredible value. Working primarily on homes in the Mountain West, Lawrence sees many interpretations of the so-called “mountain modern” style, and thus has a great inspiration pool from which to pull ideas. She sees the mountain modern trend go in many directions, but with a few basics. “We’re seeing cleaner lines than in the past, styles that are more rectangular and geometric with modern finishes and metals,” she notes, “and even small changes are making what’s considered ‘old’ feel fresh.” For instance, while oil-rubbed bronze has typically been considered rustic, composition in clean lines gives it a new, modern look. Whether a redesign or new construction, both types of projects have great opportunities when it comes to hardware. In a remodel, there can be more restrictions, but in some ways it can present even more opportunity. “With a redesign, sometimes the smallest things, like changing out hardware, make a world of difference,” says Lawrence. And with many manufacturers investing in the production of a larger variety of hardware and utilizing new manufacturing techniques, the options are endless. Selection of the perfect piece or set, though, requires a good narrowing process, and this is when having access to a hands-on showroom as a designer is essential. In mountain homes, where large scale is prominent, Lawrence encourages her clients to get a sense for that scale, to visit a showroom and to actually feel what they’re looking at. While designs can look beautiful online, and hardware is easily purchased that way, the texture and feel are what really determine good hardware. The only way to accomplish that is to touch it. While so many options may be overwhelming, working with a designer like Lawrence offers a process that zeros in on the aspired feeling of a home, from the first interaction with the front door all the way through to the smallest detail. It is always a good idea to keep in mind that hardware does not necessarily need to match perfectly, and that can ease the pressure of selecting the “perfect” piece. 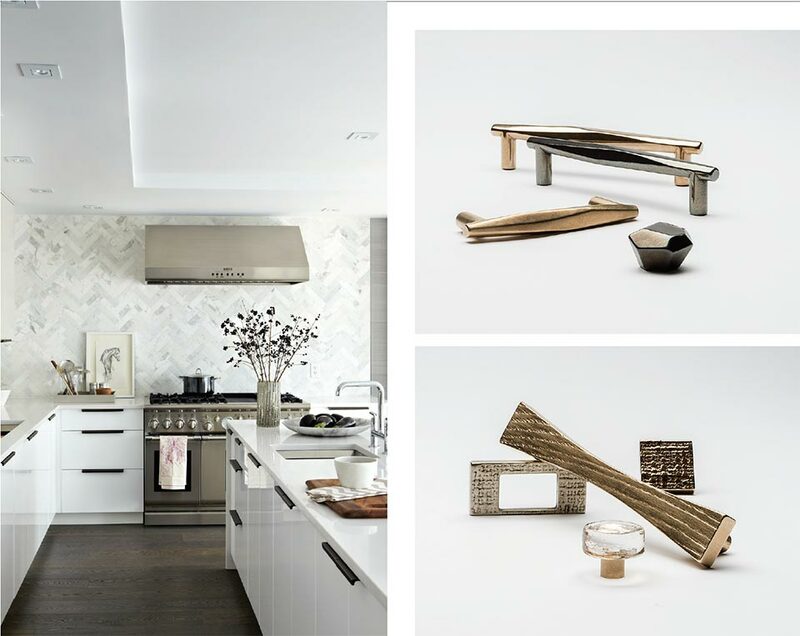 “As long as there is consistency in the metals and finishes you are using throughout the home, along with the general feel and shape, the continuity and flow will be there and it will pull together nicely in the end,” says Lawrence. 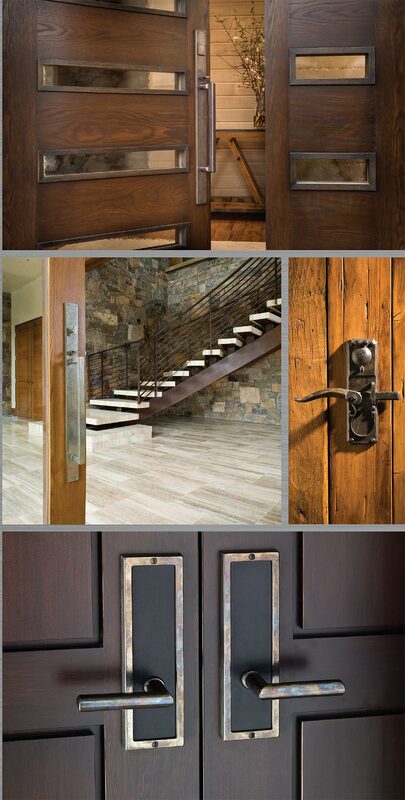 When seeking luxury hardware, look no further than Rocky Mountain Hardware. For Christine Pfau, Marketing Director at Rocky Mountain Hardware, the company’s story speaks for the quality of the product. Family-owned and based in the Sun Valley, Idaho, area, Rocky Mountain Hardware is part of the movement in utilization of bronze in household applications. Rocky Mountain Hardware was founded in 1994 out of a need for hardware to match their high-end door and window offerings. Logically, the answer was to design and cast artisan pieces, controlling the process in the U.S. plant from start to finish, and producing solid bronze pieces that evoke quality. “Our old-world casting technique results in a quality piece that cannot be produced in any other way,” Pfau says. At Rocky Mountain Hardware, each finished piece exudes the pride taken in production. Each piece touches the hands of 30 workers before it is ready for use. There are 23 collections, all with options to customize, and the opportunities are endless—from simple to exquisite, and with a variety of finishes to distinguish any style. The feel of a Rocky Mountain piece clarifies its luxury. Using CNC machines, each part is machined to exact tolerances, allowing the hardware to function with precision. Where lesser quality just snap back and forth, Rocky Mountain’s products are engineered for that precise internal operation, providing for a beautiful piece that simultaneously functions seamlessly. Rocky Mountain does not support online sales for good reason. “You need to touch, feel, see…you can’t beat that as a selling point,” says Pfau. “Images don’t do it justice.” And when you do touch a Rocky Mountain piece, you know you’re interacting with a high-end product; when you touch and feel a solid handmade piece, it feels sturdy. 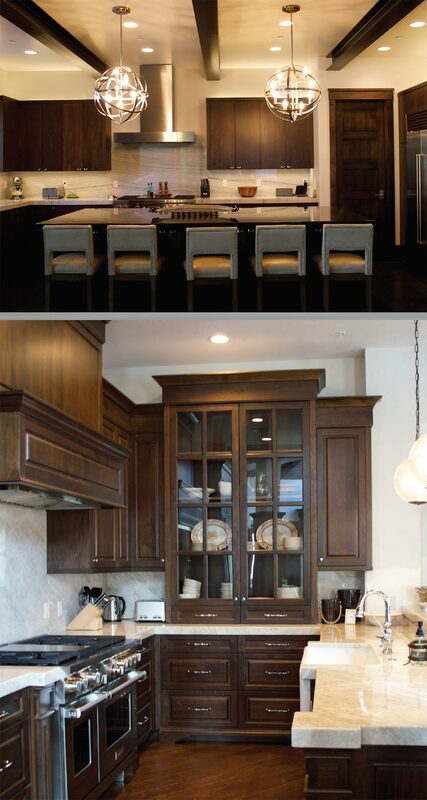 Rocky Mountain Hardware invests in staying at the forefront of design. “Our designers are always at shows, looking for the next thing,” says Pfau. “They recognize the competition in the industry and acknowledge that the only way to stay ahead is to introduce new product, unlike anything else on the market.” The new Ore collection provides just that—doorknobs, grips, and pull knobs with a chiseled aesthetic. As a hand-crafted family business, the care and pride evident in each piece brings the ultimate distinguishing character to any home. This attention to detail is essential in a quality home, and is the clearest place to make that statement. “Hardware is something you touch many times throughout the day, which is not true of all details in the luxury world, but hardware is in hand day in and day out,” says Pfau. Choosing Rocky Mountain Hardware brings that feeling all the way through a mountain home, incorporating the care and quality that the brand is built upon. Feeling pieces in hand, under accurate lighting, is essential to the hardware selection process, and this is where a supplier like Mountain Land Design is invaluable. Keene Cottle, Hardware Technical Specialist at Mountain Land, shares that they take pride in curating the current styles from the best manufacturers. By doing all their own lighting and mounting blocks, the company ensures that a visit to their showroom will offer clients the opportunity to feel hardware in an authentic application. Mountain Land’s sales team specializes in being hands-on, working with clients, visiting homes, and working with designers and architects to facilitate the best selection process. With so many styles and finishes available, even within the contemporary mountain modern aesthetic, working with knowledgeable sales representatives allows you to focus on the feel and quality of the hardware. Mountain Land Design takes great pride in working with brands that really live their story and in sourcing hardware within the U.S. “We love being able to source locally,” says Cottle. 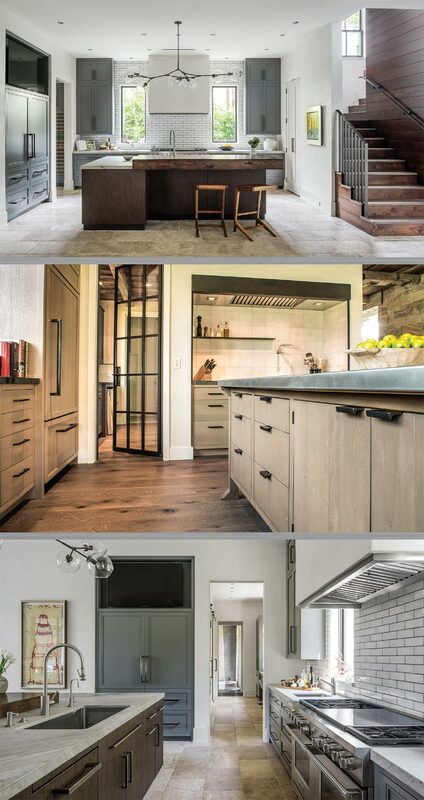 Choosing your hardware through a supplier like Mountain Land offers premium access to current styles and to manufacturers that can bring any idea into fruition, all in an environment that allows for truly feeling and experiencing the hardware that will transform your home.